Get ready for an exciting Jeep event happening on 4/4/2018. This is Jeep 4×4 Day! This is the time to celebrate all that Jeep has to offer. You can see where your adventures take you in your new 2018 Jeep 4X4 model, available in Boulder, Colorado at Pollard Jeep of Boulder, and live life to the fullest. 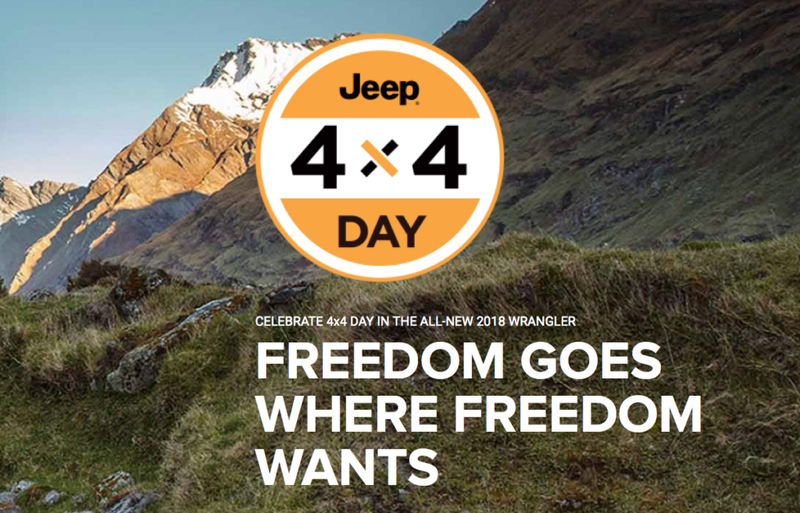 Freedom goes where free wants and Jeep provides the perfect 4X4 models to take control of the wheel and road ahead with style. Stop in today or tomorrow on the actual day of the event in Boulder, CO for a test drive of the model you want. Your Jeep awaits!